Although Mesolithic tools suggest the region of Kuwait has been inhabited since around 8000BC, its modern history dates from the founding of a town in 1613 on the site of the present Kuwait City. For a century it was controlled by the Bani Khalid tribal confederation, but after various marital alliances and political manoeuvring by members of the rival Bani Utub clan from Basra, by the mid 18th century they had been ousted. When the Utub further splintered in 1766 only one family – the Al Sabah – remained to rule, as it does to this day. By that time Kuwait was established as a major centre for the transport of goods from India, Arabia, Muscat and Baghdad and during the Persian siege of Basra from 1775 to 1779 Iraqi traders took refuge in Kuwait, playing a key role in the burgeoning boat building industry. Its wealth and reputation continued to rise and by the dawn of the 20th century Kuwait was effectively a British colony whose multiculturalism and commercial pragmatism had earned it the soubriquet 'the Marseilles of the Persian Gulf'. 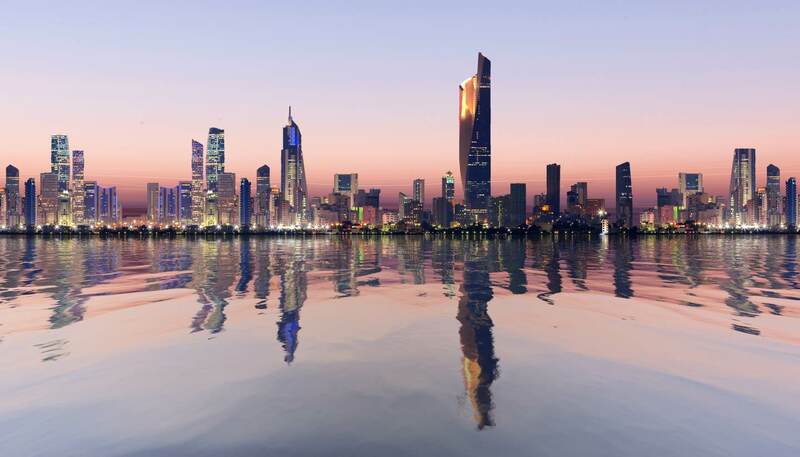 However, the first half of the new century was not kind to Kuwait and its economy was seriously damaged by a series of trade blockades and the collapse of its pearl industry. Its revival was entirely due to the West's thirst for oil, which had been discovered in 1937 by the Anglo-American Kuwait Oil Company. Delayed by World War 2, exportation began in 1951 and within a year Kuwait was the Gulf's largest exporter, fuelling what has become known as the Golden Era. That ended in 1982 with the Iran-Iraq War and Kuwait suffered a series of terror attacks as well as a major economic crisis precipitated by falling oil prices. In August 1990 Iraqi forces annexed Kuwait leading to the First Gulf War when a US-led UN coalition was deployed in February 1991 to liberate Kuwait, which then became the springboard for the invasion of Iraq in 1993. Following the death of the Emir Jabir in 2006, Sheikh Sa'ad al-Sabah ruled for just nine days before Parliament voted him out of office due to ill health. Sheikh Sabah al-Sabah succeeded him and remains on the throne to this day. Kuwait was the first Arab country in the Gulf to have an elected parliament and in 2005 granted full political rights to women. 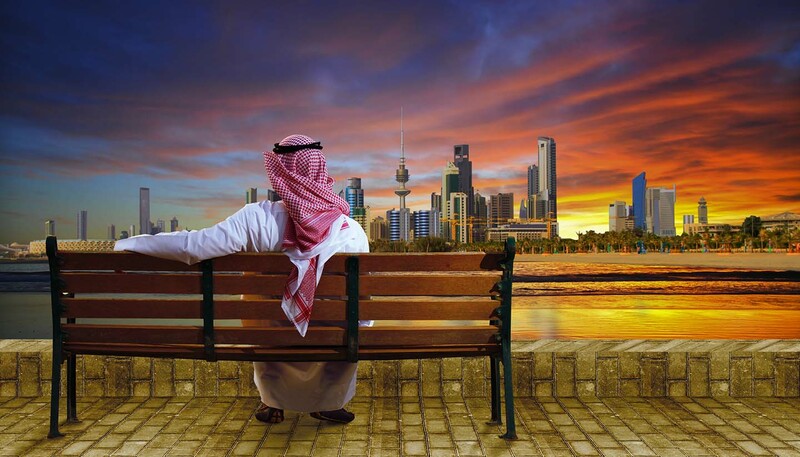 • Kuwaiti soap operas are the most watched in the Gulf region and are shown as far away as Tunisia. • Kuwait has a highly developed tradition of theatre-going that dates back to the 1920s. • The name Kuwait is a contraction of an Arab word meaning 'fortress built near water'. 95% Muslim (mostly of the Sunni sect), with Christian and Hindu minorities. Handshaking is the customary form of greeting. It is quite likely that a visitor will be invited to a Kuwaiti's home, but entertaining is also conducted in hotels and restaurants. A small gift promoting the company, or representing your own country, is always welcome. The visitor will notice that most Kuwaitis wear the national dress of long white dishdashes and white headcloths, and that many women wear yashmaks. It is important for women to dress modestly according to Islamic law. Men do not usually wear shorts in public and should not go shirtless. All other Islamic rules and customs must be respected. Convicted users of narcotics can expect to receive a sentence of up to five years' imprisonment, plus a heavy fine. Kuwait outlawed smoking indoors in public in 2012, but there is often little enforcement of this law. It is greatly appreciated if visitors learn at least a few words of Arabic. Homosexuality is illegal, as is any public affection between men and women. Cohabitation is also illegal. The import and use of drugs, alcohol, pork products and obscene material are forbidden and can lead to imprisonment. Arabic, but English is widely understood, especially in commerce and industry.